Virtual Reality (VR) Headsets have been the talk of the town recently with consumers buying them to enjoy the immersive experience. But what if those experiences get tied down by those wired headsets? Well, literally speaking, the usage of wired headsets for the audio input to get better audio clarity has marred the consumers from completely enjoying the VR experience. 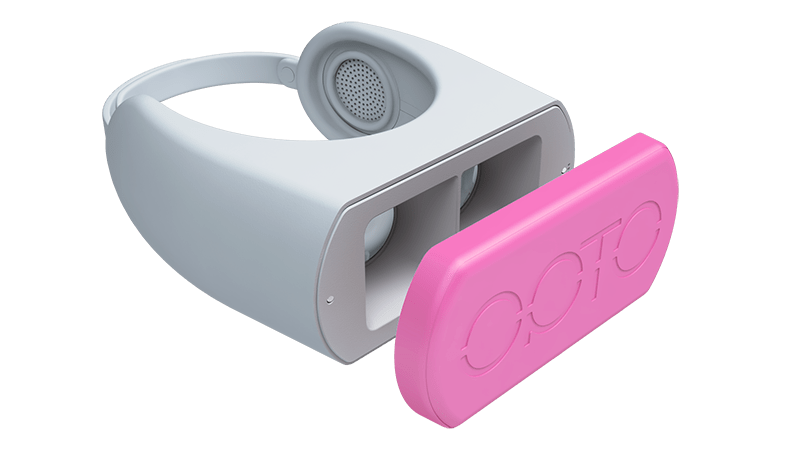 Opto Products, a UK-based startup that deals with IoT, 360 Imaging and Drones have come up with OptoVR. It is a VR Headset that has its own built-in audio system that eliminates the hassle of using wired earphones. No strings attached! Launched in March 2016 on Kickstarter, OptoVR uses Biconvex 44mm optics and has a 100-degree FOV that gives you greater clarity, a wider field of view and makes you feel more immersed. It is made from very strong lightweight foam that reduces the load on the neck. The on-ear headphones have 40mm 32ohm speakers that provide great sound. The magnetic front cover allows you to quickly remove and re-attach your phone letting you use your phone and then return to your VR experience. It can easily accommodate any smartphone that has a standard size between 4-5.5 inches. Even though the startup faces tough competition from various companies, most notably Samsung Gear VR and Google Daydream View, its features at an affordable price range keeps it ahead in the race. The major hurdle the startup faced was to find the right foam technology that would help keep the weight of the device down. It is now looking forward to expanding the functionality of the device by working on a range of accessories and develop devices for Augmented Reality and Mixed Reality. They look to target people who are casual VR users and the ones who desire the balance of technology and affordability.